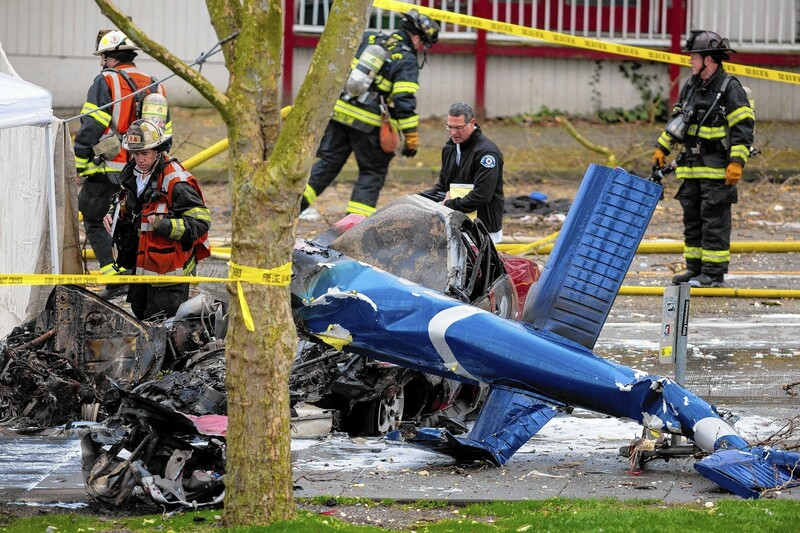 On Tuesday, March 18, KOMO-TV station’s news helicopter crashed into Broad Street in Seattle, Washington. Tragically, both Gary Pfitzner, the pilot, and Bill Strothman, a photojournalist, lost their lives in the accident. When the chopper struck the ground near Seattle’s Space Needle, three vehicles exploded upon impact, adding to the flames and clouds of smoke that consumed the street. Amid the destruction, a man was caught in the disaster; fortunately, he managed to escape with his life. After being rushed to the Harborview Medical Center, he survived despite the severe burns covering his body. After the flames were put out and the site cleared, the only question remaining is: what happened? Nevertheless, how long will this investigation take to gather conclusive evidence? It may be months, even up to a year, before a cause can be determined. Because the case still remains ambiguous, unanswered questions add to the frustration and pain loved ones are experiencing. Despite Pfitzner and Strothman’s deaths, their lives and work will always be remembered. Since the crash, Seattle has been in mourning, offering open funeral services the community. Those who knew Pfitzner and Strothman tell of their kind hearts and bright personalities that could illuminate the darkest of days. Although having answers would allow a measure of recovery, holding on to the good memories and their inspirational legacies will hopefully add to the strength of loved ones as they wait for the case to be solved. ← Reel Look: Is the Man Who is Tall Happy? “Cupid’s Cabaret”: A Valentine Extravaganza! February 7, 2017 Sarah Chaffee Comments Off on “Cupid’s Cabaret”: A Valentine Extravaganza!